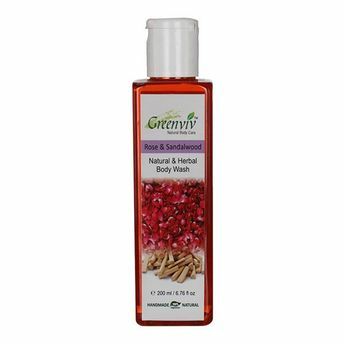 Gently wash away dead skin with Greenviv Natural Rose & Sandalwood Body Wash that leaves skin feeling smooth and soft after just one wash. It is an excellent alternative for soap. It cleans your body with softness. With this body wash, your skin is perfectly cleaned without being dehydrated. Go ahead and flaunt thoroughly cleansed skin that feels soft and supple with Greenviv Body Wash. Explore the entire range of Shower Gels & Body Wash available on Nykaa. Shop more Greenviv products here.You can browse through the complete world of Greenviv Shower Gels & Body Wash .